Jews built the comic book industry from the ground up, and the influence of Jewish writers, artists, and editors continues to be felt to this day. But how did Jews come to have such a disproportionate influence on an industry most famous for lantern-jawed demigods clad in colorful tights? The story begins in 1933. During that year, the world experienced seismic changes in politics and pop culture. An unemployed Jewish novelty salesman named Maxwell Charles “M.C.” Gaines (née Max Ginzberg) had a brilliant idea: if he enjoyed reading old comic strips like Joe Palooka, Mutt and Jeff, and Hairbredth Harry so much, maybe the rest of America would, too. Thus was born the American comic book, which in its earliest days consisted of reprinted newspaper funnies. Gaines and his colleague Harry L. Wildenberg at Eastern Color Printing soon published February 1934’s Famous Funnies #1, Series 1, the first American retail comic book. Rival comic book publishers sprang up immediately. However, by the mid-1930s publishers were already starting to exhaust the backlog of daily and Sunday strips that could be reprinted. The easiest way to fill the demand for new comic book features was for publishers to tap writers and artists who couldn’t get work anywhere else, either because they were too young, too inexperienced, or Jewish–in most cases, all three. Advertising agencies had anti-Semitic quotas, and newspaper syndicates only occasionally took on a token Jewish cartoonist like Milt Gross or Rube Goldberg. But the comic book companies were mostly run by Jewish publishers like Timely Comics’s Martin Goodman or DC Comics’s Harry Donenfeld. It was a situation similar to that of the early motion picture industry, in which Jewish directors, producers, and studio executives who’d faced anti-Semitism in other industries built an industry of their own. Because the comic book stories were being written and drawn largely by inexperienced teenagers, they were often crude rip-offs of the popular newspaper strips of the day, such as Tarzan or Buck Rogers. 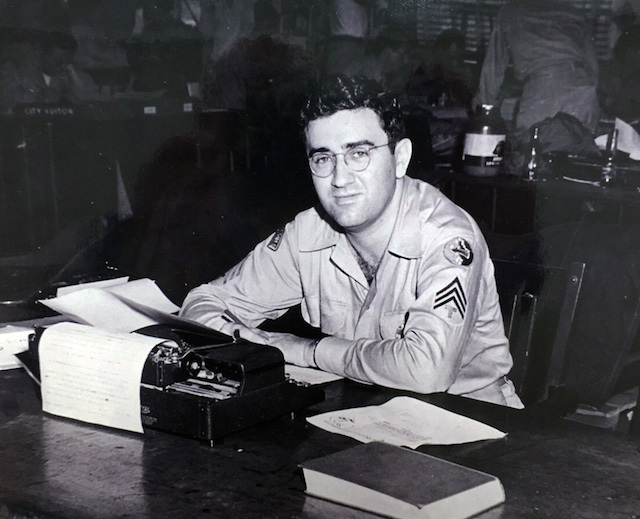 Enter writer Jerry Siegel and artist Joe Shuster, the creators of Superman. In 1938, DC Comics published the Man of Steel’s first adventure in the pages of Action Comics #1. Superman was an instant hit. Literally dozens of Superman clones were rushed into production by rival comic book publishers, and suddenly the comic book industry had a future. of the so-called “Golden Age” of comic books, the era during which the visual grammar of the medium was established. It was also a time when many classic characters were created. There was nothing overtly Jewish about the characters created during this era. However, occasionally a comic book character would emerge that had certain Jewish signifiers. After America became involved in World War II, Timely Comics superhero Captain America’s Jewish creators Joe Simon and Jack Kirby pitted their star-spangled warrior against the Nazi agent Red Skull. Captain America’s alter ego Steve Rogers could be seen as a symbol for the way Jews were stereotypically depicted as frail and passive. That is, until he took a serum that transformed him into the robust Captain America. The serum was created by “Professor Reinstein,” an obvious nod to famed Jewish physicist Albert Einstein. And Superman gave such a pounding to Nazi agents from 1941-45 that, according to legend, Nazi Minister of Propaganda Joseph Goebbels jumped up in the midst of a Reichstag meeting and denounced the Man of Steel as a Jew. After the war, however, comic sales started to drift off. One reason for this was the increasing concern that comics were a bad influence on the nation’s children. In 1947, Max Gaines’s ne’er-do-well son Bill Gaines assumed control of his late father’s company Educational Comics, renamed it Entertaining Comics, and over the next few years phased out the wholesome titles like Picture Stories from the Bible in favor of gory, lurid titles like Tales From the Crypt and The Vault of Horror. The new EC was a hit. In 1952 an EC humor comic book created by Harvey Kurtzman often featured Yiddish words like “ganef,” “feh,” “oy,” and “fershlugginer” in the stories. That humor title was MAD. This anti-comic book sentiment led in the spring of 1954 to the publication of The Seduction of the Innocent, based on Jewish psychologist Frederic Wertham’s seven-year-long study of the effects of comic books on America’s youth. Dr. Wertham condemned most of the genre — especially crime and horror comics–for having contributed to juvenile delinquency. As the outcry following the publication of Seduction of the Innocent grew, so did the call for government intervention. The Hearings Before the Subcommittee to Investigate Juvenile Delinquency of the Committee on the Judiciary opened in Manhattan federal court on April 21, 1954. Bill Gaines had to cancel his entire line, except for MAD, which became a magazine to escape censorship. Thanks to writers and cartoonists like Al Jaffee, Will Elder, Frank Jacobs, and Mort Drucker, MAD soon became well-known for a certain urban Jewish sensibility. MAD had a huge influence, helping to pave the way for modern comedy as we know it. The comic book industry took awhile to fully recover from the damage that Wertham had wrought. That changed when Stan Lee (born Stanley Martin Lieber) decided to develop a new type of superhero book. For 1961’s Fantastic Four, Lee teamed with his frequent collaborator, artist Jack Kirby (born Jacob Kurtzberg), to create a group of superheroes who weren’t sunny or optimistic like rival company DC’s heroes. One member of the Fantastic Four, Ben Grimm (aka The Thing) felt like a freak because cosmic rays had transformed him into an orange, granite-skinned monster. With Ben Grimm, Lee and Kirby were using a superhero as a metaphor for Jews, African-Americans, and other minorities. During this period of rapid growth, Martin Goodman’s company, once known as Timely, would officially be named Marvel Comics, and this era would be remembered as the “Marvel Age” of Comics (roughly 1961-1970). Throughout this period, Lee and/or Kirby created or co-created many classic characters, including Spider-Man, the Hulk, Thor, Iron Man, and Nick Fury. Lee and Kirby would also expand the “superhero as outsider” metaphor with other creations, such as 1963’s X-Men. Featuring a group of superpowered mutants who tried to help the very people who feared and loathed them for being different, X-Men was a potent allegory for being “born different.” And in the late 1970s, Jewish comic book writer Chris Claremont would introduce openly Jewish characters into the X-Men like Kitty Pryde, who often wore a Star of David necklace. Claremont would also provide a new backstory for the X-Men’s arch nemesis Magneto, explaining that the villain’s hatred of humanity resulted from his childhood spent enduring the horrors of the Nazi concentration camps. By the mid-1980s, the novel-length comics narrative, or “graphic novel,” was riding its first wave of mainstream popularity in part thanks to Art Spiegelman’s groundbreaking work Maus. A memoir in comics form about Spiegelman’s father’s experiences during the Holocaust, the book also involved a frame story about Spiegelman’s dysfunctional relationship with his father in the present day. Perhaps the most fascinating aspect of Maus is that the characters in the book are drawn as animals: Jews are mice, Germans are cats. In 1992, a year after part two of Maus was released, Spiegelman’s work won the Pulitzer Prize, the first such honor for a graphic novel or comic book. Of course, Spiegelman wasn’t the first person to popularize the graphic novel; Will Eisner, creator of the 1940s comic strip The Spirit, created the graphic novel A Contract With God in 1978. A collection of four stories about the Bronx tenement life of Eisner’s youth, A Contract With God‘s title story involved Frimme Hersh, a pious Jew who renounces his faith when his young daughter dies. And Harvey Pekar, an unassuming Jewish file clerk from Cleveland, has spent the past 30 years chronicling the minutiae of his life in the pages of the autobiographical comic book series American Splendor. Today, Jewish-themed graphic novels are more common than ever before. This wealth of new work includes graphic novels such as James Sturm’s The Golem’s Mighty Swing, Miriam Katin’s We Are On Our Own, Ben Katchor’s The Jew of New York, and Joe Kubert’s Yossel: April 19, 1943. We can only guess what the future has in store for Jewish comic book creators. But the proverbial writing is on the wall–and in this case, that writing is encased in a word balloon. The Man of Steel's Jewish roots.